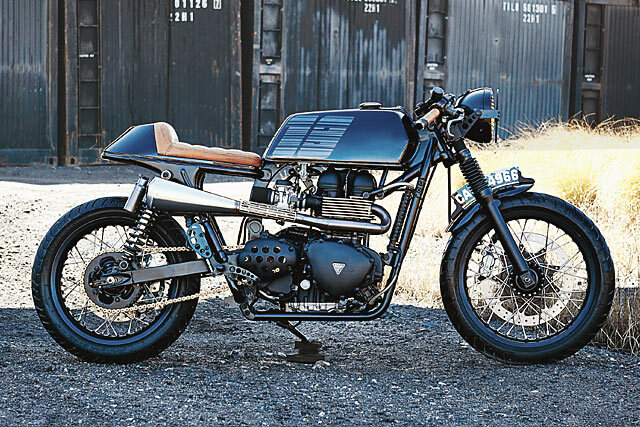 As much as I like the bikes featured on Pipeburn, sometimes I’m left wondering – what are they actually like to ride? They’re always cool as hell but sometimes I try not to think about what they’d be like to throw a leg over. Half an inch of suspension travel on the rear sure makes for a mean looking stance – but how would it fare over a suburban speed hump? That old air-cooled single pot 250 looks lean, but how far would you get on the interstate before your handlebars are being dragged out of the grill of a Scania? 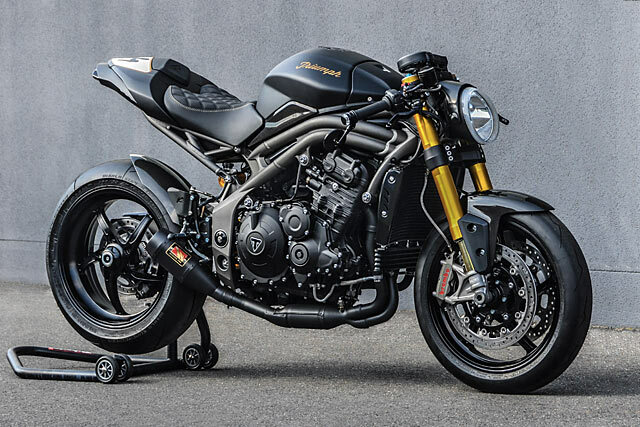 Well today we have something that’s meant to be ridden, and ridden hard – a custom Cafe Fighter built around Triumph’s exceptional Speed Triple R, made by Paris’s GB Motors 94. When does a custom bike shop become a fully fledged bike manufacturer? While some successful shops are happy with their two or three bikes a year, others like Spain’s Macco Motors take things a little more seriously. Eminently comfortable in their own stylistic skins, they’ve now developed quite the global business. With a waiting list as long as Stretch Armstrong’s arm and customers from as far a field as the UK and Miami, we’re beginning to wonder how long it’ll be before Hinckley starts to get worried. 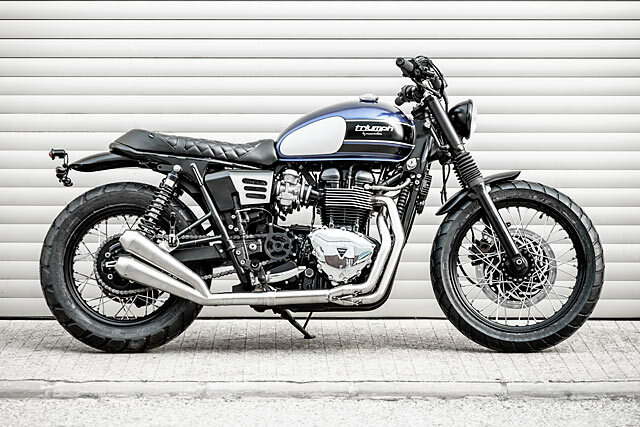 Here’s their latest build, a Triumph T100 they are calling ‘Seagull’. Imagine, if you will, a nightmarish, post apocalyptic world in the future. Mad Max. Kurt Russell in Escape from New York. Planet of the Apes, but with bikes instead of horses. Now somehow in this dusty, rusty future they are still running the TT. It’s nothing more than a motley gaggle of bike freaks who clear the road of debris and dead cows once a year to try and relive the glory days the race once knew The bikes they ride? 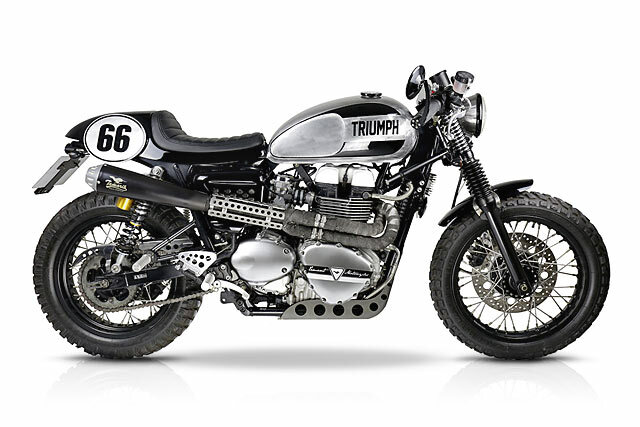 Well, we think they’d look an awful lot like this amazing Triumph Speed Triple from Italy’s Iron Pirate Garage. All it needs is a shotgun, a mohawked rider and a few more spikes. Good lord, you Northern Hemispherians have it tough. The lucky ones get to ride for six months of the year and spend the rest trying to wrench on their bikes while avoiding frostbite. And the not so lucky? Norwegian Axel Mustad gets his time to shine only three months of the year. So for his 2017 window of opportunity, he decided he was going to treat himself. 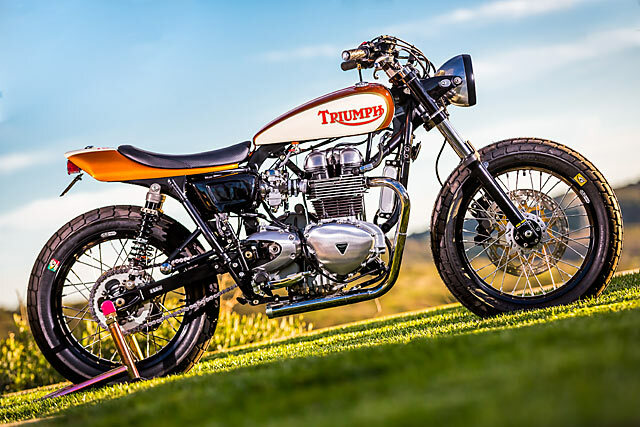 Enter Richard Pollock and his trusty Mule Motorcycles with a Triumph street tracker that clearly made ol’ ‘Colonel’ Mustard feel like all his Christmases had come at once. Figaro. You probably know of the word and its operatic connections, but have little or no idea where it’s from. But since you asked and since I’ve just spent 5 minutes on Wikipedia, let me enlighten you. Figaro is the lead character in Rossini’s ‘The Barber of Seville’. It’s the story of an old Spanish scissorman drawn into an romantic comedy of errors. Any good? Well, it’s been popular for 200 years, so it can’t be too bad – but it contains exactly zero motorcycles. 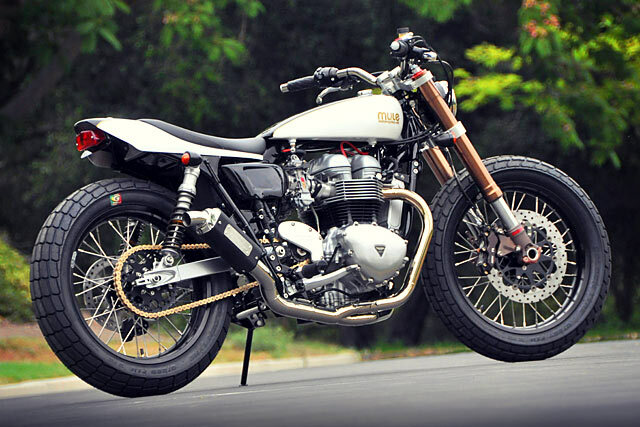 Which is why this bike, made for Spanish Barber Rubén by Tamarit Motorcycles, is such a genius idea. Just think of how much better the old opera will be once we convince the Rossini family estate to include it in the official manuscript. Take a read of this while we draft the email. 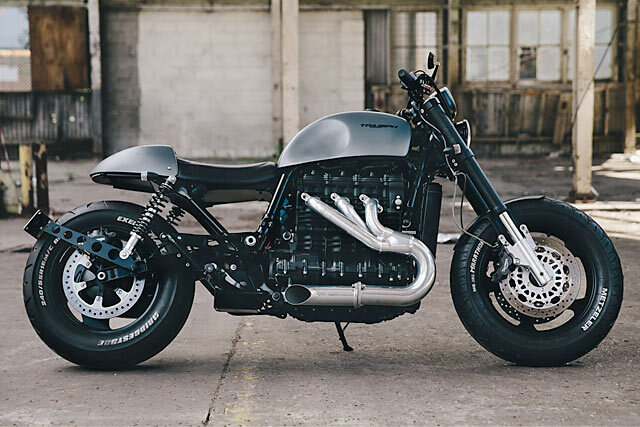 The morbidly obese and slightly long-in-the-tooth Triumph Rocket III has been a favorite of the morbidly obese, slightly long-in-the-tooth riding sect for the last thirteen years. While a cruiser, many owners don’t really bother going down the custom route for their rides. 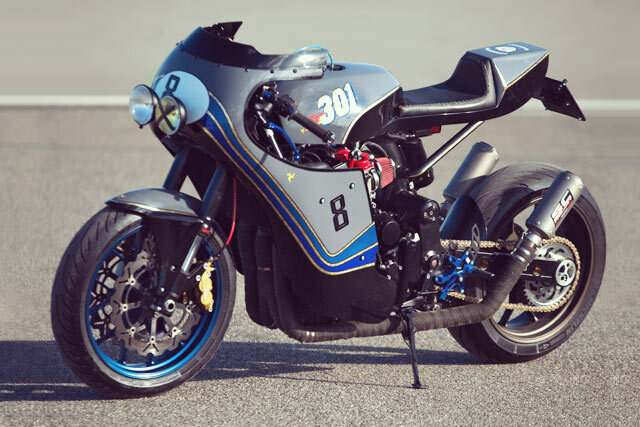 Modified examples of the 2300cc beast usually just feature a pallet’s worth of matte black paint and around four hundred yards of exhaust wrap. 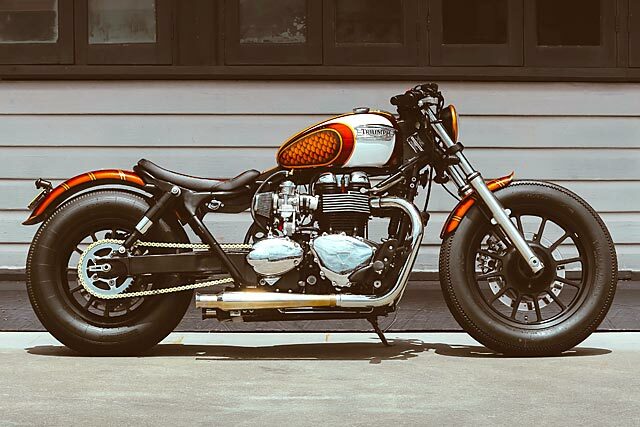 But now Sydney-based builder Wenley Andrews has worked his cafe racer magic on a 2006 Rocket III and given it the looks to match the gigantic torquey engine underneath. I have no idea what I’m doing. As I reach over and adjust the mirrors on the brand new T100 I catch a glimpse of an ex-superbike world champion riding behind me. He blips the throttle and with a tug of his arms has the nose of the Bonneville pointing towards the sky. In front of me, a seasoned motorcycle journalist and part-time racer weaves from side to side, scraping his pegs at nearly a walking pace. In between them is me. Bolt upright, hands gripped tight on the bars and riding dead straight. 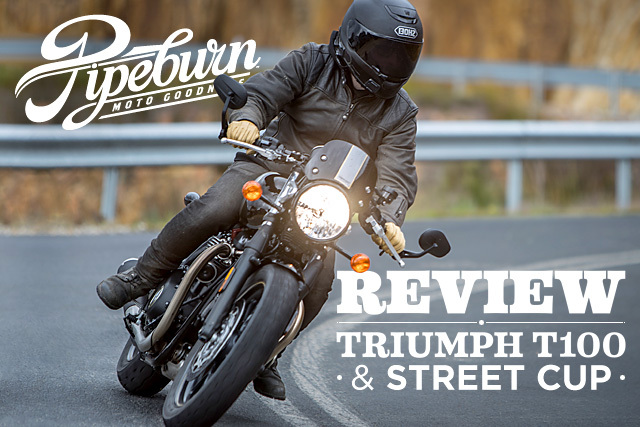 Marlon Slack from Pipeburn – commuter, tourer, sometime weekend scratcher. I’m not a racer. I’m not thinking about stoppies or wheelies or burnouts. What am I thinking? Don’t Drop The Bike.